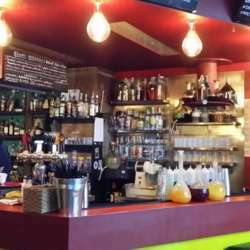 Let’s discover together a new spot for our 10th InterNations Nantes March Event. We will enjoy a wonderful evening at a very original bar: Le Labo. An area will be especially reserved for us. This is an opportunity to chat over a drink, networking, meet like-minded people and have a nice moment in a modern and warm place. If you confirm your attendance by clicking the « Accept » button but something else comes up so that you won’t be able to join us in the end, please take the time to un-register (by clicking on « Cancel attendance »). That really makes a big difference to us, as we need actual numbers for planning.